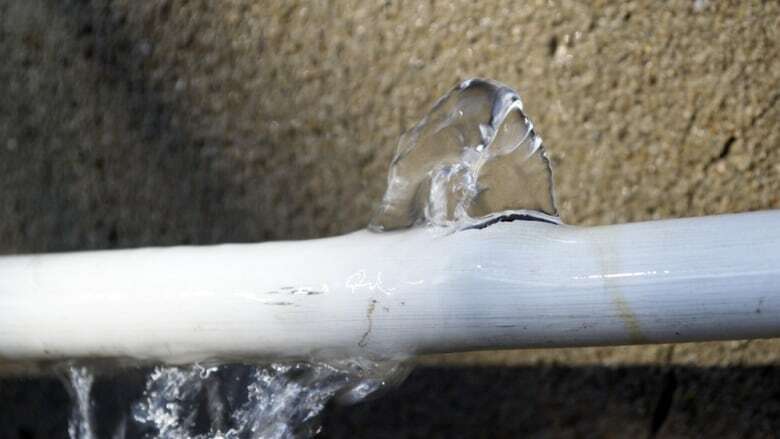 A frozen pipe that burst at a Saint John apartment unit on Saturday night has temporarily displaced three tenants. The Saint John fire department responded to the call of flooding at 9 p.m. The pipe burst on the top floor of the three-storey apartment building in the city's west end. In addition to the top-floor unit flooding, water was sent into the two units below. As a result, power was disconnected in the three apartments for safety reasons. Three other units in the building were not affected by the water. The building, owned by the New Brunswick Housing Corporation, is on St. John Street. Frozen pipe burst last night, flooding 3 apts and prompting power shut-off to half of 6-apt bldg: 183 St. John Street, <a href="https://twitter.com/hashtag/SaintJohn?src=hash&amp;ref_src=twsrc%5Etfw">#SaintJohn</a> <a href="https://twitter.com/hashtag/NewBrunswick?src=hash&amp;ref_src=twsrc%5Etfw">#NewBrunswick</a>, displacing 3 adults. Emergency lodging, meals arranged for 1 woman by <a href="https://twitter.com/redcrosscanada?ref_src=twsrc%5Etfw">@RedCrossCanada</a>. Other 2 tenants made own arrangments. Volunteers with the Canadian Red Cross helped to arrange emergency lodging and meals and other help for the female tenant of the first-floor apartment. The man from the second-floor unit told volunteers he was going to stay with relatives. The woman on the top floor left before Red Cross volunteers had a chance to speak with her. While the Red Cross said it was not known how long it would take to clean up flood damage and complete any required repairs to the apartments, the fire department said agents for the property owners had been on site inspecting the damage.